One of the most ancient fire rituals of Mount Amiata is about to be celebrated. 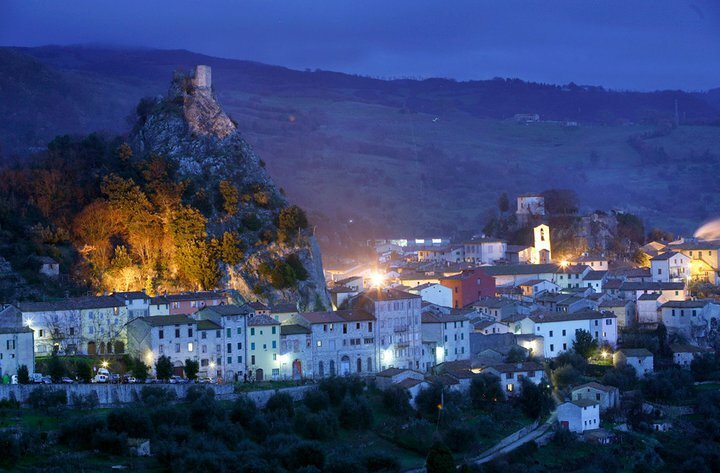 Just south of the mountain, near Roccalbegna, is the village of Santa Caterina. 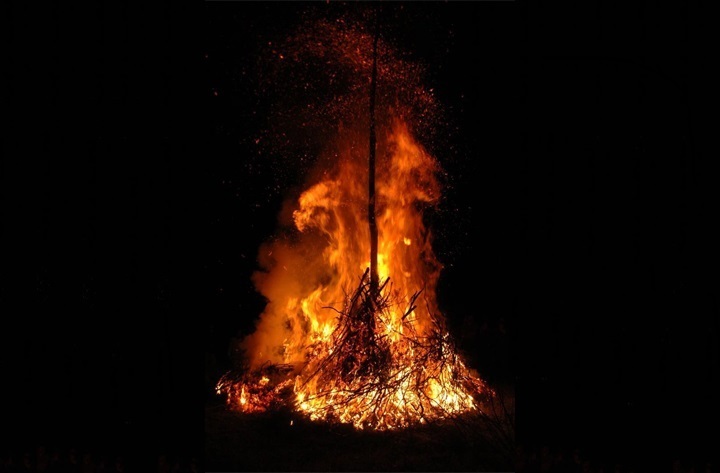 Every year, on the eve of the feast day of Saint Catherine of Alexandria, which is on the 25th November, the village priest climbs a hill and blesses a bonfire which has been built around a ‘stollo‘, the pole of a haystack. 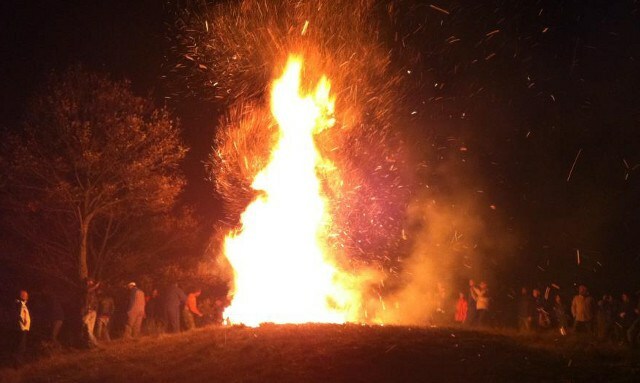 A very long pole; these bonfires, in fact, are enormous. At the end of the religious ceremony the bonfire is lit and villagers and visitors observe the flames rise towards the sky, illuminating a countryside shrouded in darkness. When the fire loses some intensity, groups of village men enter into action, according to their quarters. Illuminated by the last tongues of fire, the participants challenge the heat and smoke in the attempt to seize the ‘stollo’, pole, in a sort of ancestral rite of purification. The pole must be carried to one of the quarters so it’s not unusual to see men covered in ash and soot, similar to Mary Poppins chimney sweepers, rushing in the streets, holding strongly to the pole, shoving rivals back and forwards, playing tricks, in an attempt to bring home the ‘holy grail’. Later the pole is cut into various parts and given to the inhabitants so that they will burn it in their fireplaces and then scatter its ashes in the fields and kitchen gardens as a propitiatory rite. On the next day, the 25th, the village band plays while villagers play games and hold horse races. 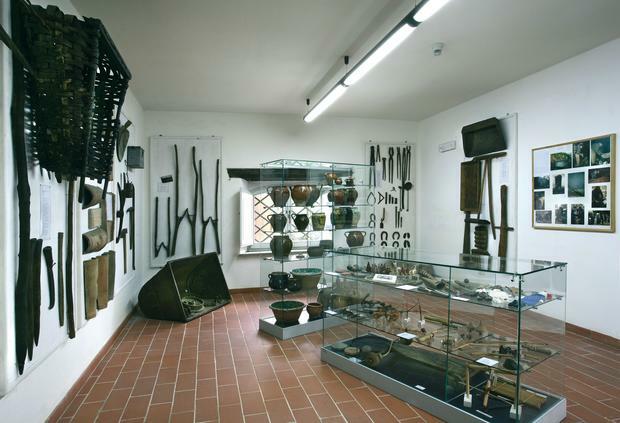 The ritual of the Focarezza is so important that in 1987 the village of Santa Caterina opened an ethnographic museum in which can be found both objects and tools having to do with rural and everyday life in the 19th and 20th century, as well as a section dedicated to the fire ceremony with a large collection of striking photographs. Certainly a peculiar feature of Tuscany. Questa voce è stata pubblicata in Culture in Tuscany, Events in Maremma, Festivals and feasts in Tuscany, Folklore in Tuscany, Maremma, Mount Amiata, Tuscan lifestyle, Tuscan towns and cities, Tuscany e contrassegnata con Focarazza di Santa Caterina, Mary Poppins, Roccalbegna, Santa Caterina, stollo. Contrassegna il permalink.